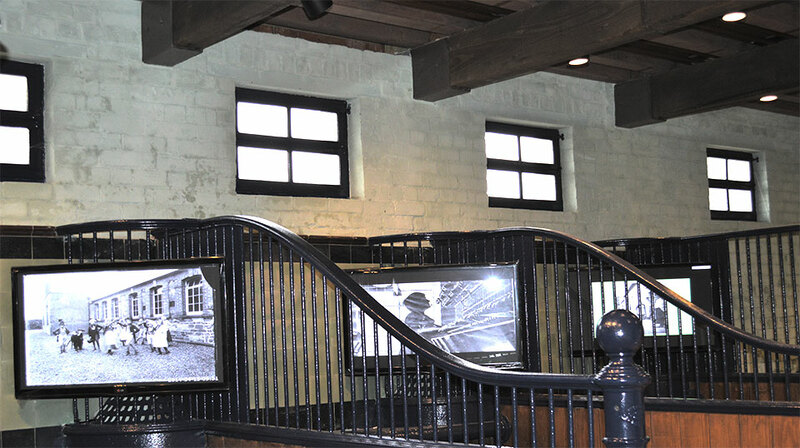 Sion Stables Museum is housed within the period horse stalls which were fabricated in the late 19th century by Musgraves of Belfast. The exhibitions in the museum tell the story of this historic linen village and cover the themes of Family, Mill and Village. Herdmans Flax-Spinning Mill was built in 1835 by the brothers James, John & George Herdman from Belfast. Sion Mills was chosen as a rural area of high employment and with enormous waterpower. The Herdmans’ vision was to create a moral, God-fearing, temperate, educated, non-sectarian community around a flax-spinning business in the northwest of Ireland which was a prolific flax-growing area. They built a model village, a school, churches, recreational and sporting facilities and succeeding in creating a community where everyone, of both religious traditions, has lived, gone to school and worked together happily over the past 170 years and 5 generations of the Herdman family. The museum exhibitions bring alive the stories of the mill-owners, the mill-workers and the production of Irish Linen. Take time to marvel at the sample of the first flax spun in the Mill on 15th November 1835 or explore our extensive collection of linen including the famous William & Mary table cloth. Learn about lesser known uses of linen such as its use in aeroplane wings during WWI. This is a non-guided facility with an opportunity to view the exhibits at your leisure. Recommended time for the facility is approximately sixty minutes. Before you visit sample our Masters Of Linen Film which immerses you in the last 150 years of life in Sion Mills. A key part of the mission of the Sion Mills Buildings Preservation Trust is to collect, record, conserve and curate archive material related to the Herdman Family, the Mill and the Village and to make these collections and research available to the public. Creating opportunities for learning and broadening the sense of this ownership of the important heritage is at the heart of everything we do. The collections provide a comprehensive record of significant genealogical and socio-economic development within the Village from the mid 19th century to the present day. 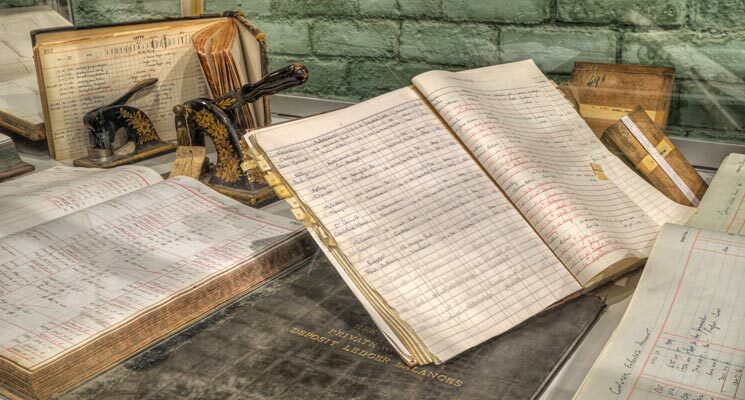 The extensive archive collection consists of ledgers, minute books, legal documents, architectural drawings and plans and private collections. This material ranges from business collections, and items relating to industry, linen production, railways, political movements and social history to personal collections such as James Herdmans personal diary collection, Carricklee Races, Strabane Harriers Hunt. The genealogical collections includes a database detailing personnel records for individuals, details on house rentals, contributions to health cover provided by the Mill, contributions to Sion Mills sports et.